The danger in anthropomorphizing wild creatures in fiction is that if too many human characteristics are imposed they can become overly cute or even cartoon-like. 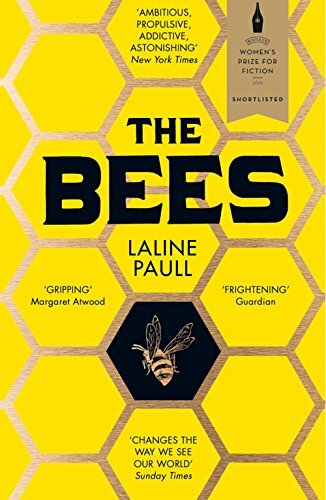 Laline Paull treads carefully, balancing the needs of a compelling narrative with the natural, complex behaviours of bees to create a tense thriller set in a ruthless matriarchy. Flora 717 is a sanitation worker, the lowest rank in the hive, but unlike her sisters she is large and can speak. This brings her to the attention of the Sage, the priestesses of the hive, who keep a close eye on this unusual sister. Flora progresses from sanitation to nursery work, helping to feed the next generation and learning more about the layout of the hive. She then becomes a forager, flying out into the world to search for pollen and nectar to feed her sisters, dodging the certain death of the myriad. Arriving back in the hive, she dances out directions to particularly fine sources of food or warns of danger. Flora has a secret, one that she must hide if she is to survive and bask in the love of Holy Mother, the Queen of the hive. She disobeys the rules of the hive and even resorts to murder in order to keep her secret safe from the Sage priestesses and their merciless hive police. Paull describes the hierarchy of the hive in detail, each bee group having its own particular job to keep the hive safe and the Queen vigorous in her egg laying. Messages are pulsed through the hive so that all the bees can pick up their instructions for the day through the floors. Scents are also used to spread information; the Queen’s scent is the most powerful and induces a loving and calming sensation throughout the hive. The bee dances are captivating as the foragers tap out directions to the best food sources, passing on their knowledge to their sister foragers. Paull’s descriptions of the smells of nectar and pollen that attract the bees are mouth-watering. The vivid colours of the flowers that shiver with joy as the bees approach conjure up visions of hot, sunny days. In the hive the Treasury, which holds the stores of precious honey, is closely guarded but cannot repel the ‘Visitation’ when the beekeeper raids their stores meaning that the bees have to work even harder to refill them. 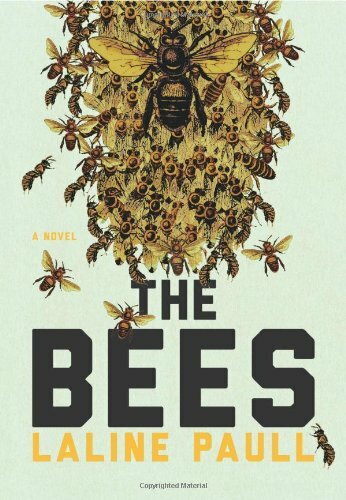 Paull injects a note of humour with the drones, the few male members of the hive, who are pampered and cossetted as they grow and mature. Their job is to leave the hive and find a princess bee to mate with, but not all do. They are loud, demanding and conceited, never worried that their sisters might go hungry as they gorge and waste food. Unknown to them, their days of endless nectar and adoring female servants are limited and a shocking fate awaits them. Paull has taken an unpromising subject matter and turned it into literary gold. This novel is never less than absorbing and her extensive research is seamlessly woven into tale. After reading this, you will look at bees and beehives with increased respect and not a little affection. That is has been shortlisted for the Baileys Women’s Prize for Fiction comes as no surprise; it would be a very worthy winner.